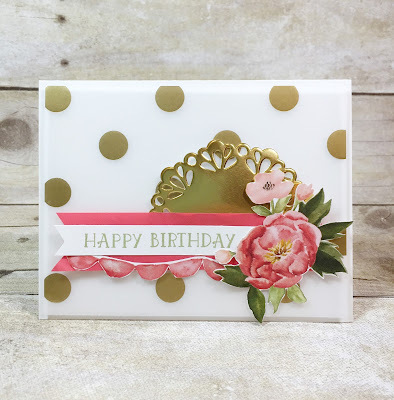 Sherry"s Stamped Treasures: Birthday Bouquet by Stampin' Up! 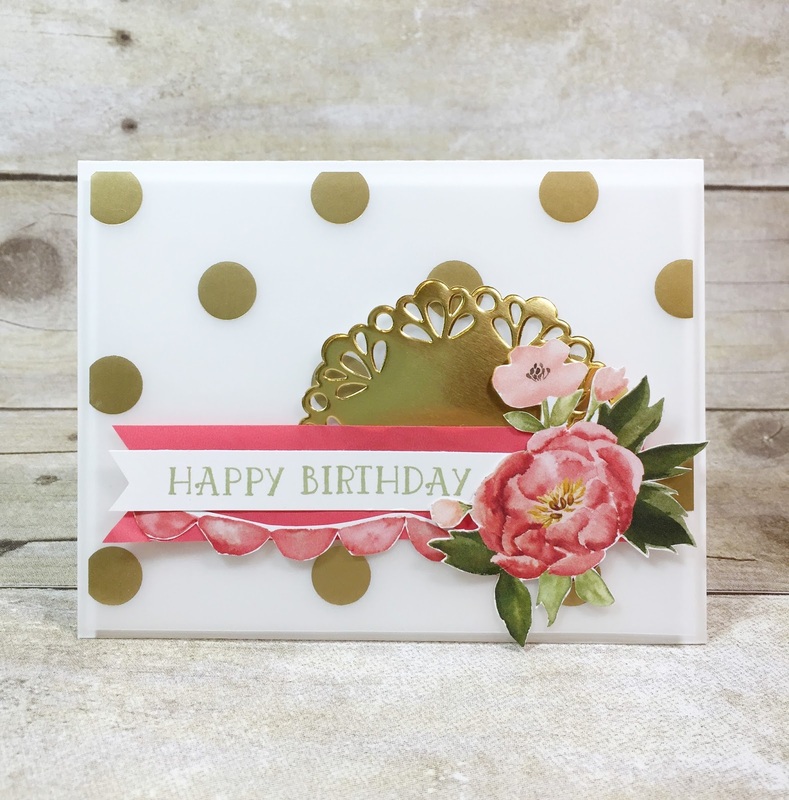 Birthday Bouquet by Stampin' Up! I received this beautiful card from my friend Nicole - is it not AMAZING?! I love it! She's got such a great eye for design. The flower is cut out of our Birthday Bouquet paper pack, as is the little banner. Isn't it cute? And the foil vellum in the background. Ah! Love it! Thank you Nicole!! Click on any of the photos to find out more information or to place an order.